In a statement issued on Monday, roads agency Sanral said road users who have “persistently refused to settle their e-toll debt may receive civil summonses” from the agency over the next few days. It stated that sheriffs are delivering the first set of civil summonses to individuals in different Gauteng jurisdictions. “The summonses will also include higher value summonses of mostly companies. Due to the amount owed in these cases, the summons has to be managed by the high court,” said Alex van Niekerk, project manager for the Gauteng Freeway Improvement Project. Sanral said the decision follows an “extensive period of communications” between it and vehicle owners who had not paid outstanding debts and called it “a natural conclusion to the process”. It added that since introducing the 60% discount to e-toll debt in November 2015, Sanral had made it clear that it would introduce “a process of debt collection against serial defaulters”, too. This messaged had been reiterated through the media and through phone calls, e-mails and SMSes by the Electronic Toll Collection company, which runs the system for Sanral. “Sanral has a responsibility towards the country and the thousands of compliant vehicle owners who regularly pay their e-toll accounts to recover the outstanding debt from defaulters. We have an obligation to act. The global ratings agencies and the investment community are also looking towards Sanral and expect from us to demonstrate our commitment to financial responsibility and high standards of corporate governance,” said Van Niekerk. Sanral clarified that a civil summons is similar to not have paid any commercial accounts and should not be confused with criminal proceedings or a criminal case. Meanwhile, in a statement on its website, the Organisation Undoing Tax Abuse (Outa) said the summonses are “selective and confined to a civil claim against high-value corporate organisations”. It labelled the agency’s decision to target high-value, corporate defaulters with a civil charge “questionable” as this angle is usually used for contractual disputes. “It would appear then that companies and people who may therefore be at risk of a summons, are those who have signed Sanral’s e-toll contracts in the past and have now defaulted on these. “However, even in this situation, we know that many businesses would have initially signed these agreements under duress of Sanral’s initial threats of criminal prosecution and they will have a strong chance to defend their their rights of ceasing to pay for the unjust e-toll scheme,” said Outa. Outa chairman Wayne Duvenage estimates that between 60% and 70% of all Gauteng road users have never signed up or ever paid e-tolls. “They have very valid arguments to defend themselves and we believe they are not at risk. Outa’s contributing members also feel safer as they fall under our e-Toll Defence Umbrella, whereby we will defend them in the event of a summons,” he added. 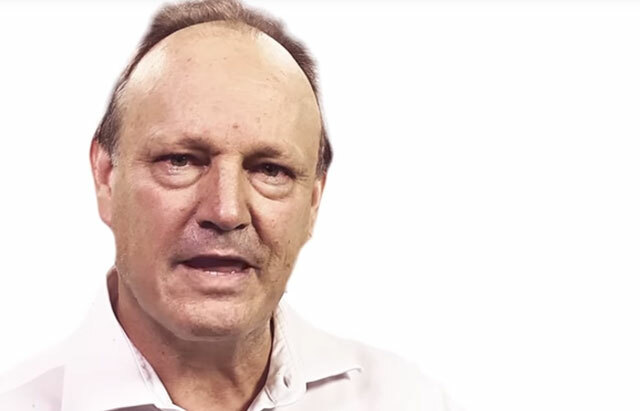 “There can be no consensus for e-toll defaulters, as there is no agreement between the parties and, furthermore, if the road user considers the premise for Sanral’s one-sided agreement to be invalid due to the unlawful declaration of the roads as tolled roads, we fail to understand how Sanral can bring a civil claim against the road users. “Furthermore, the fact that Sanral has determined the liability of the user in terms of their equipment that has not been approved, verified, certified and re-certified in South Africa in accordance with South African legislation, generates additional complications to Sanral’s case, and Outa has plenty of evidence indicating the equipment is unreliable,” said Duvenage. Look forward to seeing Sanral trying to prove this one in court.